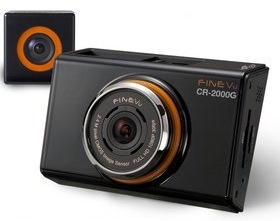 The FineVu CR-2000G is a dual channel dash cam that records 1080p at 30fps for both the front and rear cameras. Like most of the dual 1080p cameras released to date from Korea it has a large front camera with a touch screen and a smaller cube styled rear camera. 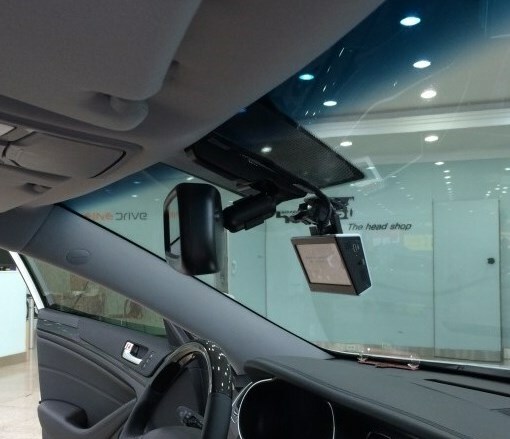 This dash cam has built in GPS, G-sensor, lane departure warning system and parking mode. The FineVu CR-2000G also has dual card slots (1 micro SD and 1 standard SD). The camera is apparently using an Ambarella A7 processor and and a 2.4 MP Sony Exmor CMOS sensor. Overall video quality is very good during the day and average at night. The biggest drawback with this camera is the form factor. The front camera has a 3.5″ screen and is 92.5mm x 66mm x 42mm, a bit on the large size. The flashing orange ring around the lens does not help with discreetness either. The rear camera is cube shaped at 35.8mm x 35.8mm x 35.8mm. 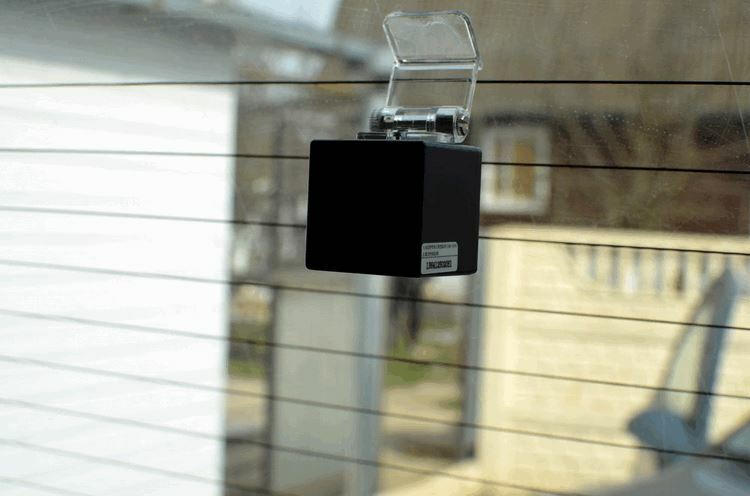 While much smaller, the cable connects from the top and using the standard mount, it is difficult to install near the top of a rear window. So even though the camera is quite small it is quite noticeable when installed on the rear window. We would like to thank our member, USDashCamera, who did a review of the FineVu CR-2000G in the following video. The FineVu CR-2000G is one of the best dual cameras available today. The form factor for both the front and rear cameras is disappointing and the $400 price tag is a bit steep. That being said, FineVu makes high quality cameras so if you are looking for a dual 1080p camera this should be a consideration. 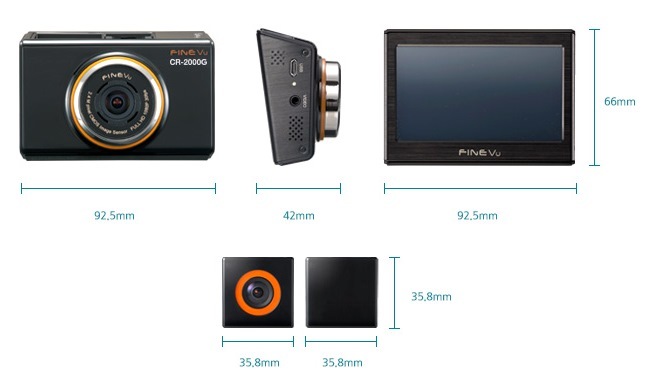 Take a look at the BlackVue DR750LW-CH and Panorama X2 as well. Firmware is only provided via the sellers of this camera. Final Word One of the best dual cameras available today but the form factor for both the front and rear cameras is disappointing.